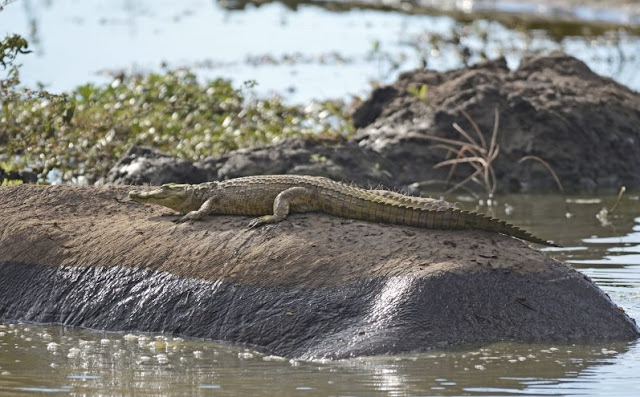 This is the hilarious moment a baby crocodile mistook a giant hippo for a rock and lay across it to rest in the sun. The cheeky croc crawled up the side of the wallowing hippopotamus and sprawled across its vast back to relax. Even when the hippo began to move the young crocodile didn't get the hint and remained in position for about 15 minutes before getting off. But the three ton beast apparently didn't seem bothered by the three feet long creature ended up giving it a piggy back ride. The moment was caught on camera in the Kruger National Park in South Africa by field guild Richard Millar. 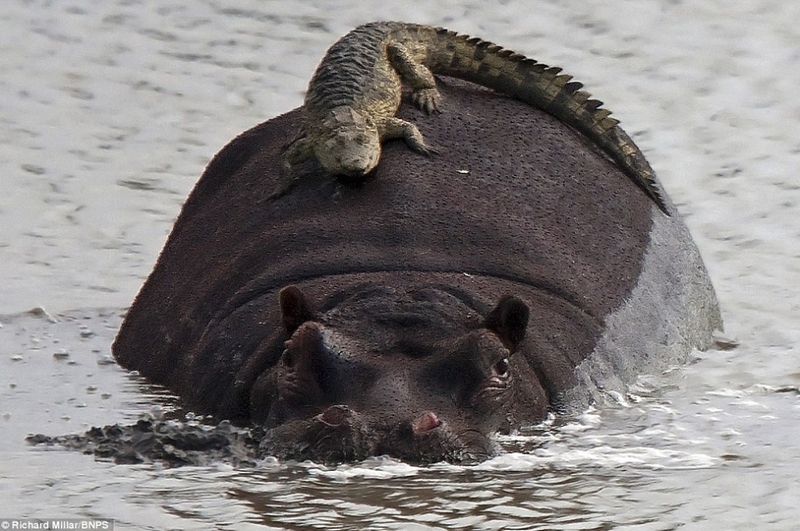 Richard, 21, was just snapping the hippo in the water when the crocodile emerged. 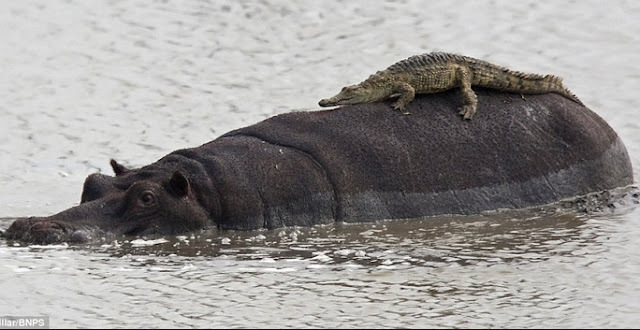 He said: 'I came across this hippo in the water which at first had a heron on its back. Then all of a sudden this small crocodile crawled up one side of it and sat on its back. 'It must have thought it was a rock in the water and just chilled out on it for a while. They are cold-blooded creatures and need to rest in the sun. 'The hippo didn't seem to mind and did nothing to shake the croc off. It moved a little but the crocodile remained there for about 15 minutes. Responses to "Hilarious moment a baby crocodile mistook a giant hippo for a rock"